Shi Lu, 自画像, Self-portrait 1951, pencil drawing, Beijing: National Museum of China, reproduced courtesy of Shi Lu’s family. Working on the exhibition Shi Lu: A revolution in paint has been a revelation for me. Ever since my Uncle traveled to China in the 1980s, bringing back memorabilia from the Friendship shops, teaching my Nana to play Mah Jong, China and its culture has held a fascination for me, but the study of its art did not form part of my art historical training here in Wellington. Consequently, the preparation for this exhibition has represented a learning curve which is being shared by visitors to the exhibition, many of whom are being introduced to an entirely new artist and mode of art-making. They, like me, have found themselves drawn into the story of Shi Lu, his art and life. One of the pleasures of working on an exhibition like this is meeting local experts and engaging with new networks of knowledge. The three individuals appointed as curatorial advisors to the China exhibitions, Duncan Campbell, Yiyan Wang and Luo Hui, will all be participating in an event this Thursday, ‘Continuity and Change: A symposium on China’s art and culture’. This afternoon and evening of presentations will include fascinating topics ranging from imperial practice and historical Chinese collectors, to modern Chinese artists working in Paris, and 20th-century exhibitions of Chinese art in New Zealand. Together, these will offer insights into the works on display in Throne of Emperors and Shi Lu and provide us with the opportunity to get to know Chinese art and culture, and Shi Lu, more closely. Shi Lu, Fighting in Northern Shaanxi, 1959, chinese painting on paper, Beijing: National Museum of China, reproduced courtesy of Shi Lu’s family. As a highlight, we are privileged to have one of Australasia’s leading experts on Chinese art, Dr Claire Roberts, giving the keynote presentation on Thursday. Dr Roberts is one of those remarkable scholars who have nimbly worked between the museum and academic worlds. She is currently senior lecturer at Adelaide University but for many years was senior curator of Asian arts and design at the Powerhouse Museum, Sydney. She has curated numerous exhibitions, including The Great Wall of China developed collaboratively with the National Museum of China in 2006. Dr Roberts also has a long-standing interest in the art of Shi Lu. 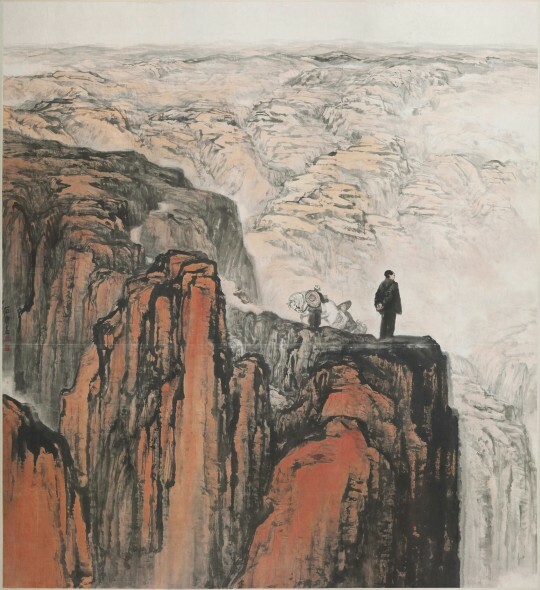 As a young student of brush-and-ink painting at the Central Academy of Fine Art in Beijing in 1979, she was fortunate to encounter a retrospective of Shi Lu’s work which had a powerful and lasting impact. She describes the experience as “moving and unforgettable”. These words are inscribed on the back of this photograph of Shi Lu included in the exhibition. 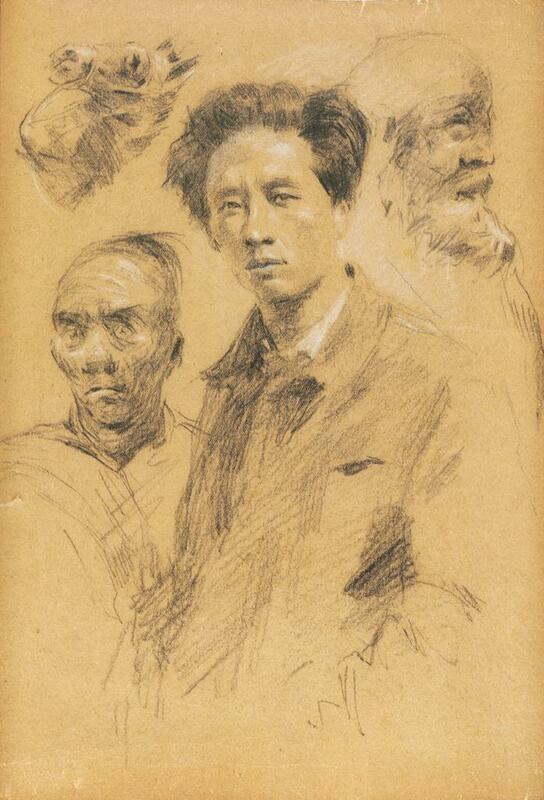 In her talk, Dr Roberts will be asking questions of the role played by painting in Chinese society. 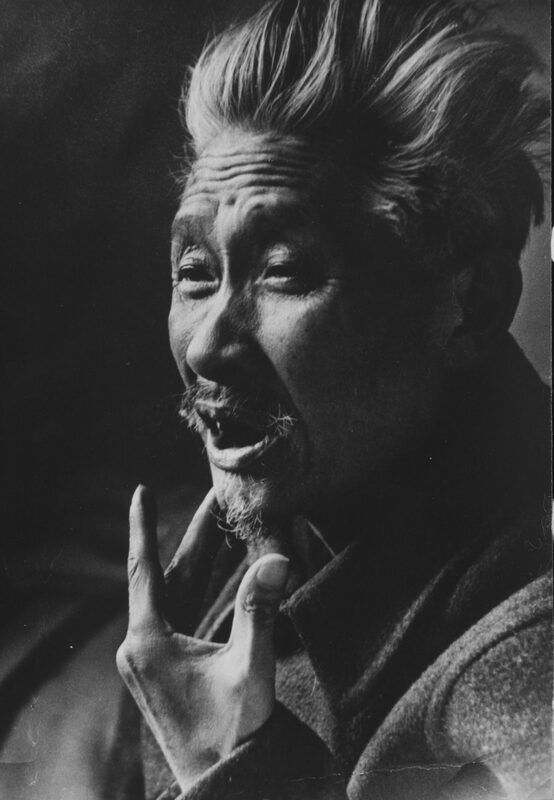 She will consider how works of art were created and used historically, but will also address the difficult circumstances Shi Lu found himself working in during the twentieth century. How did artists survive the chaotic decade of the Cultural Revolution? What power do artworks possess for the State that could get artists into so much trouble? As well as focusing on Chinese painting to explore the use of painting for political purposes, Dr Roberts will look at Shi Lu’s late works in light of the power art can hold for the individual. In the words he chose to paint and the symbolic flowers he brought to life with ink on paper in his final years, Shi Lu’s work embodies a remarkable sense of resilience, suggesting art can provide a means of transcending the burden of the mundane world and bringing healing to the soul. Join us this Thursday to share in the wealth of knowledge Dr Roberts and others will bring to our appreciation of the works currently on show in Throne of Emperors and Shi Lu: A revolution in paint at Te Papa.